Anyways! Let’s peep in for the goodies inside. This cleanser is more like cleansing milk that has aloe vera with rose water. I just used this and loved the cooling texture and soothing fragrance. The texture is excellent and very soothing. I liked that this product is free from parabens and silicones. It costs 295 rupees for 120 ml bottle, so this was a full sized product. 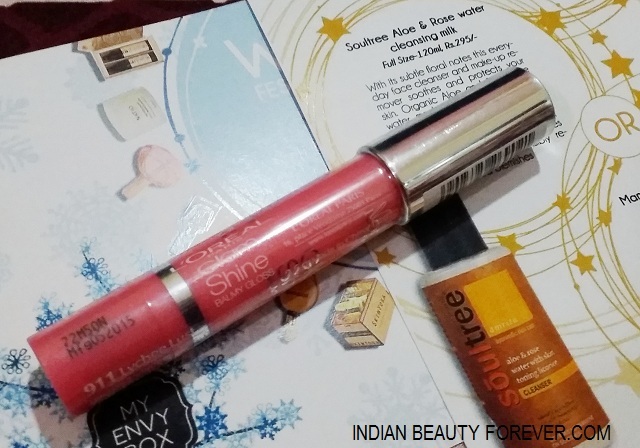 I missed trying these balmy glosses when these were launched couple of years ago so, this is my first from the range. I have not swatched it even but I am guessing I am going to like it. Let’s see. I will post a review on it. By the way, I am happy that this too is a full sized product. This fragrance has the perfect amalgamation of fruity and floral accords. Surely, a good one for the coming spring summer season. I already have a couple of whitening creams or day creams, therefore, I will be using this after a while. 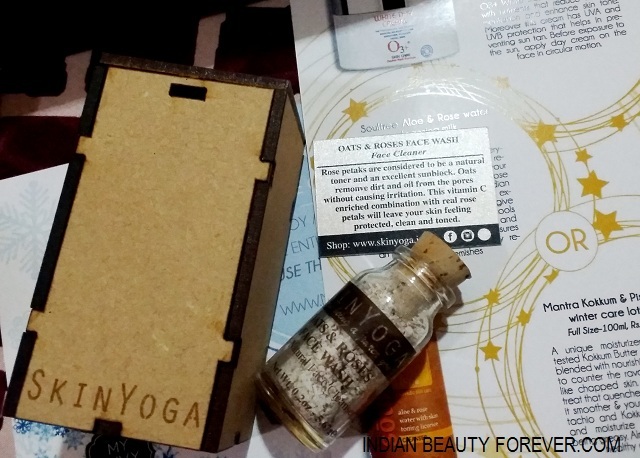 The product looks promising and claims that this is enriched with nutrients that reduce the skin pigmentation and even tone the skin complexion. SPF 15 gives sun protection. 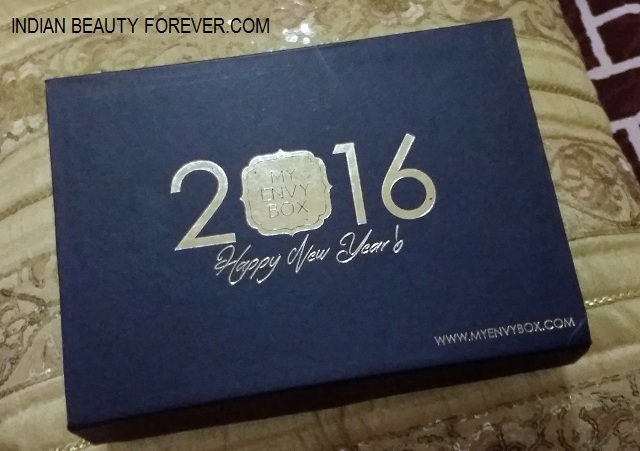 Full sized product costs 775 rupees for 50 g.
Thoughts: I am extremely happy with the first box of year 2016, more for the 2 full sized products and the fact that I can use all of the samples given like the day cream, cleanser, fragrance, balmy gloss and the oats and rose face wash. Everything is indeed good for the value starting from the box itself. 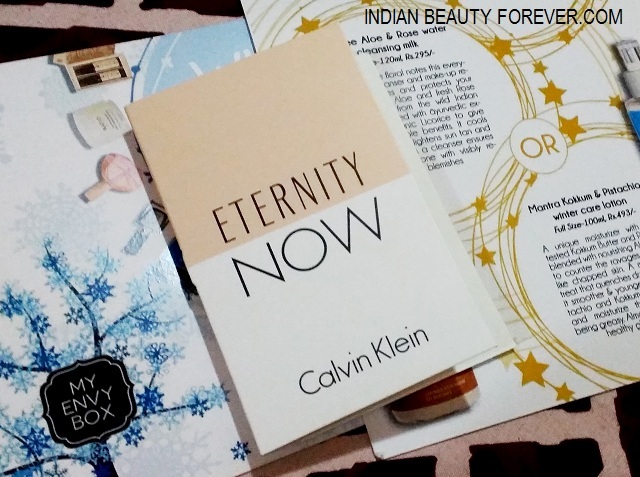 I am also thinking that after using these sample products, I can move to their full sized ones, like for the Calvin Klein fragrance or even for the Skin yoga cleanser. So, overall, this was a box of happiness for sure. 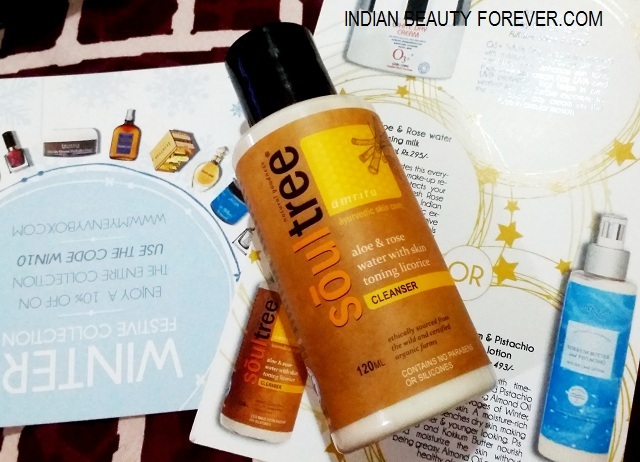 Nice products Neisha.. i got same products except soultree cleanser i got mantra winter care body lotion..